Portland is often viewed as a progressive utopia, where everyone is welcomed to be their unusual selves. But that's far from the case. When Oregon entered the union in 1859, our state constitution explicitly stated that only white people were allowed to take residency. Redlining policies in Portland flourished into the 1990s. So who is this so-called utopia really made for, and what actions can we take to change that? In this course, we will learn about the past, present, and future faced by Black men in Portland. We will confront society’s perceptions and biases, as well as our own, and we will consider how Black men are working to change these negative narratives. We will also learn how to take personal and collective action to make a difference. In the end, we will be equipped to engage and support Black men without being another source of harm, and we'll have a concrete plan for moving forward. Week One: Context. What do we know about Black men and the history of Blackness in Oregon? Where are we today? How did we get here? What challenges are Black men facing? We will explore evidence, our biases, and data to get a snapshot of where we enter this discussion. Week Two: Vision and Value. How are Black men perceived? How do you see them? What are the impacts of the prevailing narratives about Black men? Week Three: Presence and Action. What are Black men doing to improve their outcomes? Where are they present? How are they changing the narrative? Where do you show up? Week Four: Building Community. In our final week, we will reflect on the course and integrate what we learned into personal and collective action. We will look at opportunities to engage in existing activism efforts. We will leave with direction to continue working towards a unified community. Justice Rajee is a program manager at Portland Opportunities Industrialization Center, serving Black young men on probation. He is the Justice Subcommittee Chair for Black Male Achievement Portland. 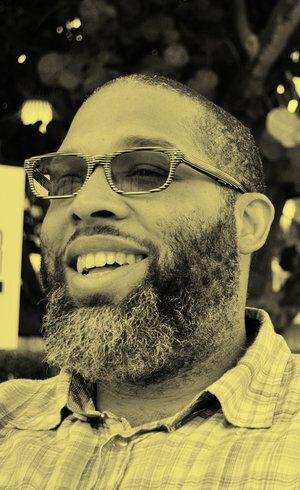 He is also the creator/host of the Ask Your Oldhead podcast.